The Titanic Trail Cobh (Queenstown) Cork, Ireland, is a daily fascinating guided tour that explores the town of Cobh in Cork Harbour which was the last port of call of RMS Titanic. It is the longest operating Titanic attraction in Ireland. This Irish heritage walking tour takes visitors through the historic town of Cobh where the buildings, streets and piers have not changed since the loss of Titanic in 1912. The Titanic Trail offers a selection of year round guided walking tours and activities to suit varied interests and age groups. Public or private departures can be arranged. Larger groups, including bus tours, can all be facilitated with timings and pick up locations to suit any schedule. Check out our Titanic Trail unique merchandise. Products unavailable on any other websites or retail outlets. Ideal for gifts or personal collections for Titanic and history buffs alike. This booklet brings you through all the landmarks along the Titanic Trail. In full colour with photos and information about all the stops on the Titanic Trail. The sinking of the Lusitania created great controversy during the First World War. But how accurate was the narrative that emerged of this being a dreadful attack on an innocent ship that the US into the war? This research based factual account of the backdrop to these events will amaze readers and leave some very uncomfortable questions. Amazing imagery and insights into the extensive historical backdrop of Cobh and Cork Harbour. 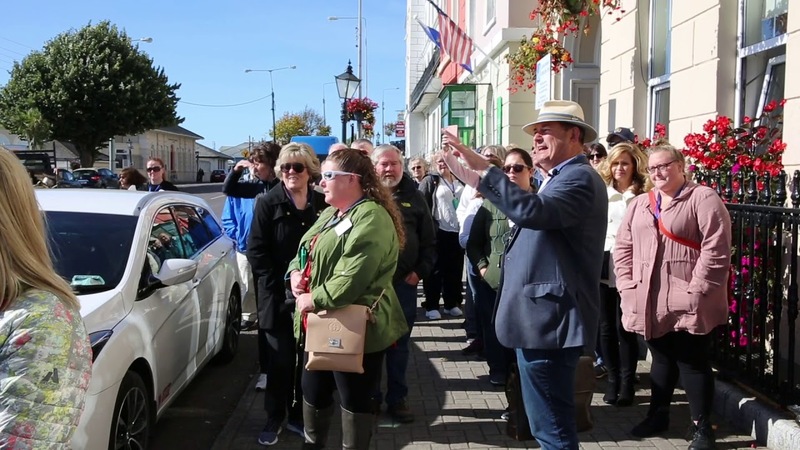 Filmed with Dr Martin soon after the establishment of the Titanic Trail Guided Walking tour of Cobh in 1998, this collection of narrative, film footage and information is as fresh and as intriguing as it was then. This DVD explores the fascinating Spike Island in Cork. Join Dr Martin for a walk on the island exploring its amazing historical heritage. Based on the his seminal book, 'Spike Island, saints, felons and famine'.